I absolutely love to research travel topics. But I have a confession to make: I’ve recently procrastinated for nearly five months in researching my travel insurance options for an upcoming trip. Why? Well, to be honest, it can be kind of complicated. And if you’re not using the right tools, comparing policies can make your head spin. You can expect to pay about 3 to 8% of your trip cost for travel insurance. In this article, I’ve tried to drill down the basic questions that you need to ask to buy an affordable policy that gives you the coverage that you need. I also let you know what company I chose after doing my homework. 1/Do I really need travel insurance? This question really gets at how comfortable you are with risk. If the unforeseen happened, could you swallow the cost of whatever you’ve paid for your trip? Or if you had a medical emergency, could you shoulder the cost of treatment and/or evacuation? In all my years of traveling, I have only purchased travel insurance twice. I purchased medical evacuation insurance for my family’s 72-day trip around the world a few years ago, as we were going to be traveling in remote areas of Tanzania and Nepal as part of the itinerary. My most recent purchase of travel insurance was for an upcoming trip to Antarctica with my son. Yes, Antarctica! This particular trip has a lot of moving parts. What if our flights to Chile are delayed, and we miss our flight to Antarctica and the subsequent cruise? What if one of us has a medical emergency and has to be transported from Antarctica back to South America? What if our flight back to Chile is delayed because of weather and we miss our flights home? All good reasons to have travel insurance. And in this case, the travel provider, Antarctica XXI, actually requires it. But if you’re vacationing in the USA, do you need travel insurance? Typically no. What if you’re planning a summer European vacation? I don’t think so. Or what if you’re taking a cruise and are highly unlikely to cancel? I think that you can get away without it. 2/What kind of coverage do I need? To answer this question, you need to understand what types of coverage are available. First, there’s travel medical insurance. You definitely should call your regular health insurance provider to see what your policy already covers. Ask if it’ll cover your medical expenses if you’re traveling abroad. And if you’re hurt or fall ill in a country with an inadequate health care system, will your health insurer pay to fly you elsewhere, and who makes that decision? Medical evacuations alone can cost $50,000 or more. If you find that your regular coverage is inadequate, that’s when you look into purchasing medical insurance. KidTripster Tip: Pre-existing medical conditions are the number one reason why travel medical insurance claims get denied. Check what the policy’s “lookback period” is; that’s the length of time that an insurance company can dig up your health problems, typically between 60 to 180 days. 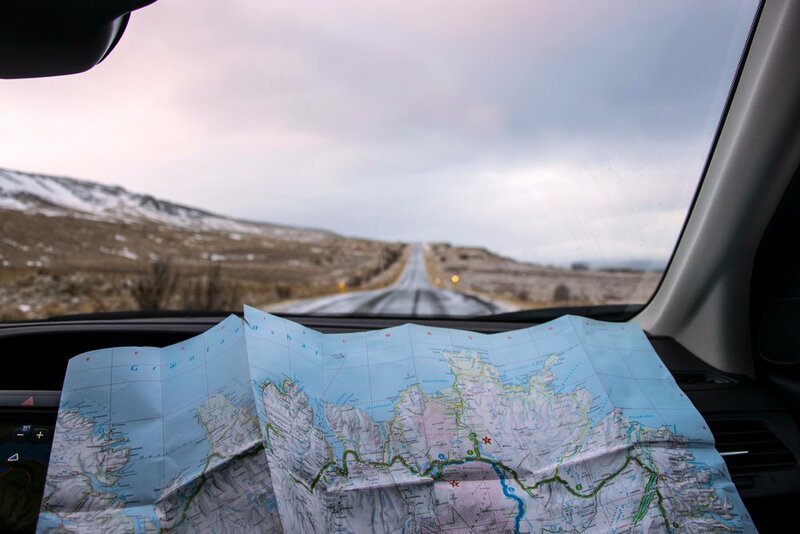 Consider how every doctor’s visit or filled prescription that you or anyone in your traveling party has had may affect future claims. Next, you have trip cancellation or trip interruption insurance. You need to read the fine print carefully here. If your trip was canceled because of weather or “an act of God,” is it covered? What about a terrorist attack? What if your flight was delayed and you missed getting on your cruise, does the insurance cover getting you to the next port of call? KidTripster Tip: “Cancel for any reason” policies do cost more, even though some actually have exclusions. For example, rules around pregnancy can be tricky. Basically, if you were pregnant when you bought your policy, you typically can’t cancel because you’re having a baby. What about lost baggage coverage? You already may have this coverage as part of your homeowner’s or renter’s policy. Or if you paid for your flight with a credit card, your credit card company already may cover the cost of lost luggage. Again, call and check before you buy coverage that you really don’t need. That advice also applies to car rental insurance. Again, you’re likely covered under your regular car insurance policy. The only reason (which I don’t think is a good one) to buy supplemental insurance is to prevent a potential claim from raising your home car insurance premium. Finally, there’s comprehensive travel insurance, which as you may have guessed, would cover all of the above. However, it’s still extremely important to read all the details and exceptions. KidTripster Tip: If you have several big ticket vacations planned for the same year, consider buying an annual policy that will cover all your travel instead of just a single trip. 3/When should I buy travel insurance? Try to purchase your travel insurance just after booking your trip. If you wait, policies can get more expensive and less comprehensive. That being said, make sure that you do comparison shop. And by all means, don’t buy an insurance policy offered by the company that’s providing the travel. The terms likely won’t be in your favor. Also, if the company goes bankrupt before your trip, your insurance policy likely will be worthless. However, also know that travel insurers have lists of companies that they will and won’t cover for financial default. You should ask your travel insurer if each company that you’ve paid money to for your trip is covered. 4/Where should I shop for insurance? With so many terms and conditions, it can be difficult to compare several companies’ plans on different websites. Instead consult a broker site like Insure My Trip or Squaremouth. In addition to being able to look at policies side-by-side in an easy-to-read chart, you can filter for those aspects that are most important to you. The sites also include consumer reviews and ratings. 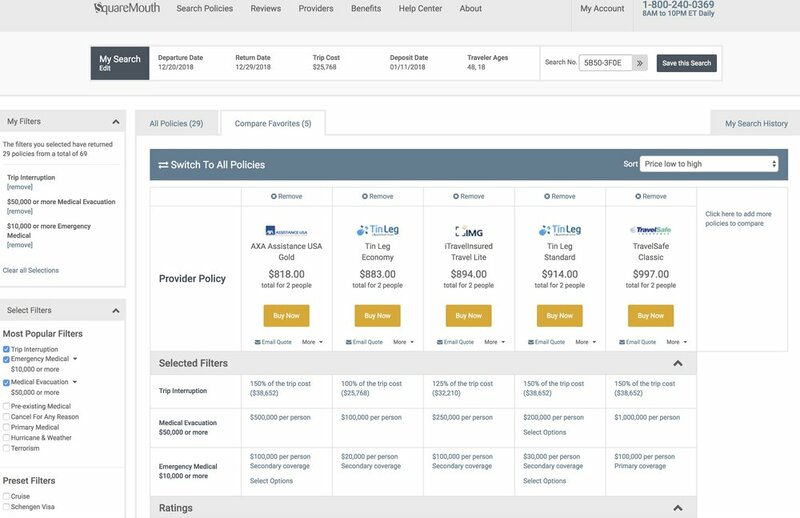 KidTripster Tip: On these broker sites, the insurance companies pay the broker fees - not you - so you won’t pay more than if you bought the insurance policy directly from the provider. 5/What company should I buy from? If you’re buying your policy from a broker website, you can feel fairly confident that the insurance companies listed there have been vetted. However, if you decide to buy a policy directly, do your due diligence. Avoid companies that advertise as “travel protection or assurance” firms. Get the company’s license number and then check that number on the insurance commissioner’s website in the state where the company is registered. Don’t know where the insurance company is registered? Ask. Ultimately, I purchased my policy through World Nomads, a reputable company that offered what I needed at an affordable price. Since purchasing my policy, KidTripster has become an affiliate partner with World Nomads. That means if you use the link provided here to purchase your own policy, we get some coffee money from World Nomads. There’s no extra cost to you. Just wanted you to know. The company that you buy your travel insurance policy from isn’t the same company that will actually pay out your claim, if you have one. That’s a separate company called an underwriter. You’ll want to check that company’s ratings on A.M. Best’s website. If the underwriter isn’t rated here, be skeptical. 7/What’s the travel insurer’s 24-hour emergency number? If you find yourself in the middle of a real crisis, you don’t want to be hunting for how to contact your travel insurance provider. Make sure the company has a toll-free, 24-hour emergency phone number that you can use from whichever country that you’ll be in. And make sure you know how to dial the number from that country. KidTripster Tip: Share this information plus your policy number with your travel companion, in case you’re incapacitated. If you end up having a claim, expect the process to be messy and require a lot of paperwork to get reimbursed. Make sure that you have everything in writing. If coverage details aren’t explicitly listed in your policy, you can assume that it’s not covered. KidTripster Tip: Keep accurate records and save all your receipts from any out-of-pocket expenses that you’re looking to be reimbursed for at a later date. Prior to becoming editor of KidTripster, Shellie Bailey-Shah was a long-time, television consumer reporter who regularly advised viewers on money matters.